The results also suggest that the same process could be contributing to other chronic intestinal disorders, such as ulcerative colitis. Dr James McLaren, from Cardiff University's School of Medicine, said: "In coeliac disease, T cells found in the bowel react to gluten and cause inflammation, which damages the lining of the bowel. 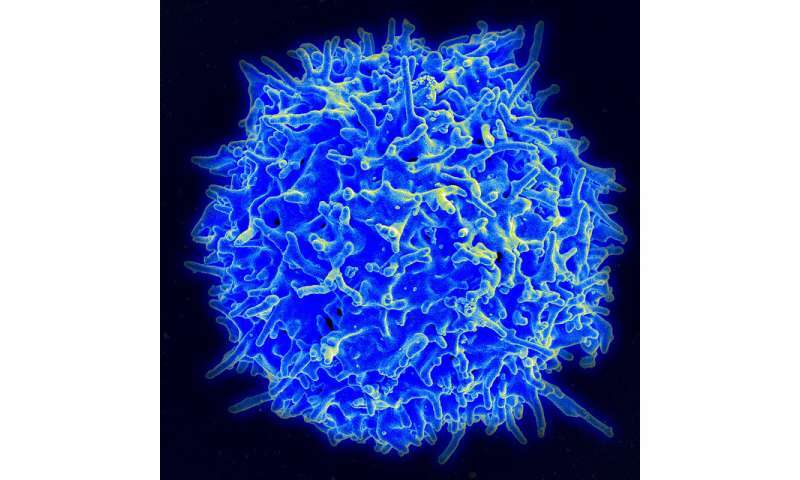 "Under normal circumstances, T cells have a protective role in the bowel and form a stable population. However, in celiac disease, they contribute to the inflammatory process, causing short-term symptoms and increasing the risk of developing certain types of bowel cancer. "Our new study suggests that even though short-term symptoms, such as diarrhoea and abdominal pain, can be alleviated by removing gluten from the diet, long-term implications may remain, because 'tissue-healing' T cells in the bowel are permanently replaced by 'pro-inflammatory' T cells." Coeliac disease is common and affects one in 100 people. The international team hope the new findings will help inform the treatment of chronic intestinal disorders. The research 'Chronic inflammation permanently reshapes tissue-resident immunity in celiac disease' is published in Cell. The team includes researchers from the University of Chicago, Cardiff University, Monash University, CHU Sainte-Justine Research Centre, Leiden University, University of Groningen, and Columbia University.